Eryn Rae and Scott Turnbull are a fiddle and guitar duo from the Scottish Borders that specialise in music from the Borders and Northumberland, producing a traditional but distinct sound. In the few years they have been playing together, they have supported many established musicians and bands including Scottish singer-songwriter, Dougie Maclean. The duo are suitable to be booked for background music, concerts or ceilidhs. Eryn has been playing since the age of 7 under the tuition of the Shetland fiddler Catriona Macdonald. Now 16, she has won numerous prestigious competitions as a soloist including the Robert Burns World Federation Young Burnsian of the year, and was a finalist in the 2017 BBC Radio 2 Young Folk Awards. She can be seen playing alongside Scott in the new 7-piece band Northern Company, and was a member of the Sage Gateshead's youth folk ensemble, Folkestra, where she was tutored by musicians including Kathryn Tickell and Ian Stephenson. Eryn's repertoire focuses heavily on traditional Scottish music, but also plays material from the North of England and Ireland. Multi-instrumentalist Scott began playing at the age of 8, playing concerts and ceilidhs both locally and nationally. Guided by Kathryn Tickell and Ian Stephenson he gained valuable experience playing with Folkestra and is a current member of Superfolkus also mentored by Kathryn Tickell, touring and appearing on her recent album 'Waters Of Tyne'. 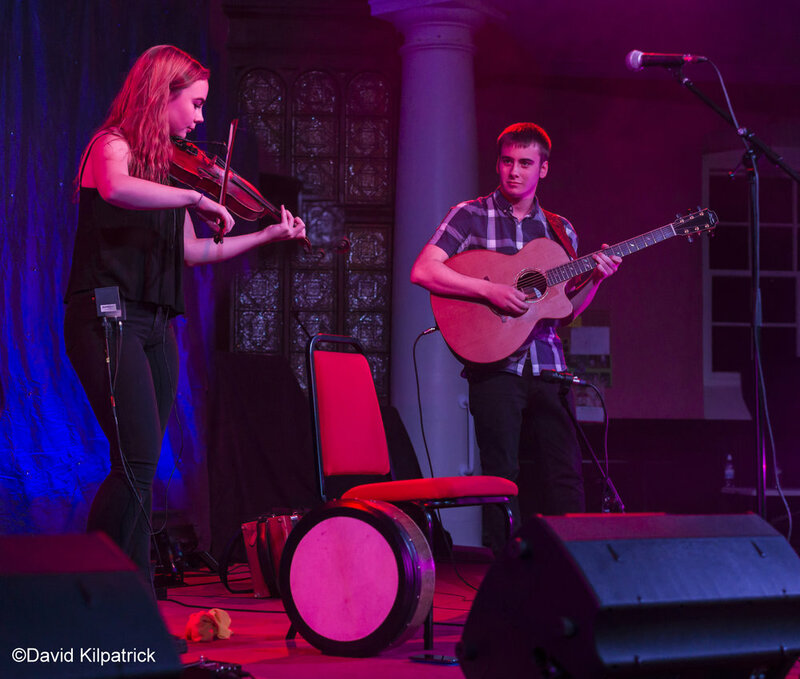 As a member of Northern Company he has toured many of the larger festivals such as Sark, Warwick and Towersey where he also accompanied the 2017 Radio 2 Folk Award winner Josie Duncan. Scott's main influences come from traditional folk music, however his playing has also been heavily influenced by jazz music through his time being taught by pianist Harris Playfair and guitarist Ross Milligan.